Venue: Faculty of Geoscience & Engineering (CiTG), TU Delft, Stevinweg 1 (room to be announced). Free to attend, but please sign up via a quick email to us to ensure we know roughly how many to expect. 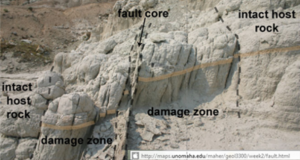 While fault identification is an important application of borehole image analysis, the complexity of large-scale fault zones, such as might be observable on seismic data, often makes it difficult to determine the orientation and sense of movement of the fault. The fault geometry is essential for updating and refining the reservoir model and has an impact on the IGIP calculation. 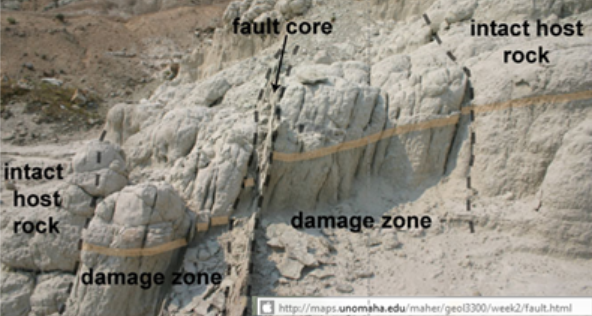 This paper presents a case, in which an image log was acquired in a single well drilled through a seismic scale fault. The well is located in a structurally complex area where the seismic data quality is degraded by an overlying salt diapir. Detailed interpretation of the image log helped to resolve an ambiguity in the interpretation of the seismic data.